A useful tool before you make a purchase, sewing machine reviews provide information essential to your decision. Reviews take a variety of different forms; some assessments, such as those located on consumer watch organizations or websites dedicated to sewing machines, aim to give you an objective perspective, while others reflect a more personal tone, such as customer comments. What Makes an Effective Review? Choosing amongst the hundreds of models available depends on your experience, budget and functions you require to complete your projects. The most effective sewing machine reviews cover essential features and give insight into brand, quality, price and availability. Whether you favor user commentary, evaluations based on a set of pre-determined criteria or a combination is a matter of preference. Also keep in mind that the “best” machine on the market may not be best suited to your needs. 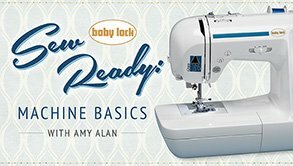 Basic – often mechanical, affordable models like a White Sewing Machine; also an ideal choice beginners or light sewers who don’t require lots of options. Search reviews that discuss the quality, durability and limitations of the specific functions you require. For example, work that focuses on lace and gown construction often requires delicate heirloom stitching; even if a “work-horse” machine lists this feature, it may not handle thin material as you expect. Reviews usually cover additional qualities such as precision, speed, variety and ease of switching between stitches, ergonomic design, easily accessed controls as well as work area lighting. Especially if you are new to the world of sewing machines, begin your search with well-known brands – look at different models of a Singer Sewing Machine and Brother Sewing Machine. The advantage of starting with these brands is the number of sewing machine reviews accessible. Singer and Brother both produce a wide-range of models, which provides insight into the types of functions available, and because they are so well known, have more reviews – positive and negative. Don’t stop at the larger manufacturers – a smaller company of high repute may produce the model most appropriate for you. Many quality choices such as the all-purpose DC1050 Janome Sewing Machine or a Viking Sewing Machine, exist; a number of experienced sewers rate a Bernina Sewing Machine, produced by a small family run company, much higher than a Singer and the variety of Janome Sewing Machine models matches Brother. A smaller, lesser known company can still accommodate a variety of features; sewing, embroidery, quilting or overlock are options for an Elna Sewing Machine – Elna, a small lesser known Swiss company that’s manufactured products since 1940. Reviews sometimes reveal interesting information such as the history of Singer-clones like a Mercury Sewing Machine. Other times, you might discover a name brand, like Janome, is the manufacturer of a lower cost item such as the Necchi 6015 Sewing Machine. Similarly, a lack of information might make you think twice about purchasing a Beldray Sewing Machine. Type a desired feature or intended use when searching sewing machine reviews to yield makes/models that meet your criteria. Whether an inexpensive starter model, a secondary machine for portability or a high-tech computerized model with a multitude of features, sewing machine reviews can help you determine the best brand and model for you. Search multiple sites, and read independent and consumer reviews – the consistency in descriptions often provide an accurate picture of the quality, durability and features of a sewing machine.